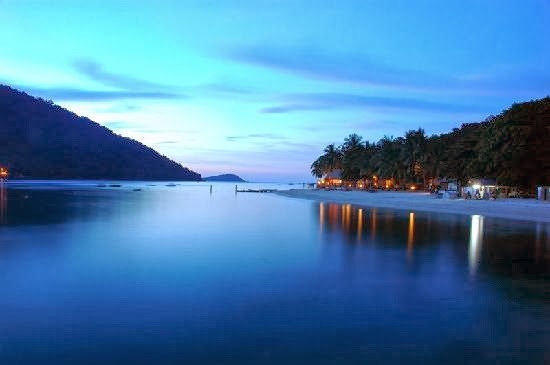 Malaysia is known to home several stunning islands, while some like the resort paradise of Langkawi, are very well-known, others like Perenthian Besar are yet relatively unknown. 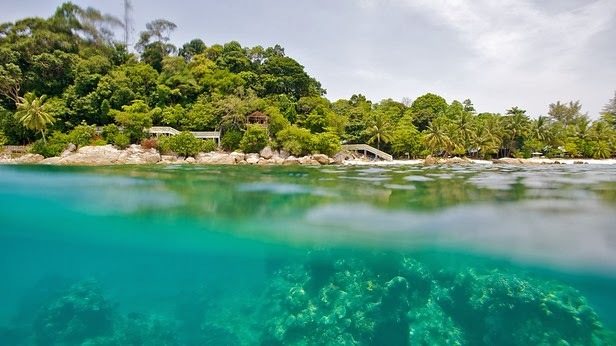 Perenthian Besar, is the bigger of the two islands that make up the island paradise known as the Perenthian islands, part of the Redang Marine Park area. Perenthian Besar along with its sibling Perenthian Kecil, is located 12 miles of the northeast coast of Peninsular Malaysia, in the state of Terengganu. Much frequented by dive enthusiasts and backpackers, the Perenthian islands are serene locales renowned for their white sand beaches and pristine coral formations, enveloped by marine life rich cerulean waters. Both the islands host excellent dive and snorkeling sites, with the best spots for snorkeling on Perenthian Besar being Teluk Puah, Shark Point ( a spot offering sightings of black tip sharks) and Tanjung Basi. In terms of accommodation, while Perenthian Besar is equipped with bigger, more tourist-friendly resorts (ideal for visiting families), its smaller sibling offers more rudimentary forms of accommodation better suited to backpackers. Restaurants and bars are dot both islands, though those located on Perenthian Besar, are deemed to be better equipped to handle the tourist crowds. As for activities, swimming in the crystal blue waters and lying on the powder white sand beaches seem to be the prime vocation of visitors to the islands, though if you always wanted to learn to scuba dive, you can easily do so on the Perenthian islands, as both islands are equipped with dive centers offering SDI and PADI certified courses at reasonable prices. Other popular activities offered on Perenthian Besar include jungle-treks, sea kayaking and volunteering at turtle conservation centers located on two beaches on the island. The Perenthian islands are easily accessed via regular ferry services departing from the jetty at Kuala Besut, a small fishing village in Terengganu. The best time to visit the islands is from March to the end of October. The waters surrounding the Perenthian islands are usually clearer near mid-April, when the sea settles after the monsoon season, which usually extends from November until February.